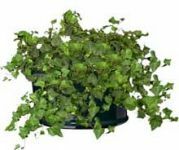 Foliage Unlimited is a leader in providing plant sales, maintenance, rental, and information about the care and use of interior plants, trees, and flowers. Our 30 years of experience can solve all of your plant needs. Plants, trees, flowers and centerpieces are also available to be leased or purchased for weddings, conventions, banquets and special occasions. Our services include consultation, design, sales, rental and maintenance. We will gladly work from your blueprints. 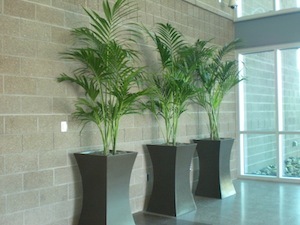 Foliage Unlimited specializes in plants for green buildings and plants that clean the air. The following popular plants will add beauty and style to any office, home or interior environment. Click each photo to enlarge! universities and resorts on a weekly basis. Foliage Unlimited began in 1977 in the home of Judy Feldstein. Thirty plus years later, Foliage Unlimited is the leading plant maintenance company in Northern Arizona. Since our humble beginnings we have taken great pride in bringing our customers beautiful foliage and great service. Let us help you bring color, beauty, and fresh air to your home or business! Thank you Judy for all the wonderful information and time spent helping us put this website together.